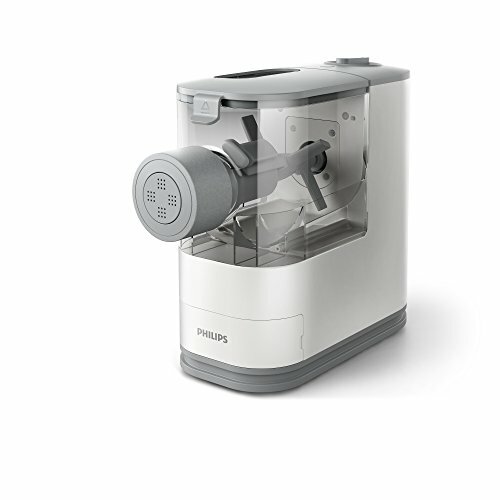 Fresh pasta is just 18 minutes away with the Philips Compact Pasta Maker! Simply add the ingredients and let the machine mix, knead and extrude it for you. Customize the pasta to your preferred flavor and shape with the included shaping disks. The Compact Pasta Maker was designed with your counter top in mind; its small footprint is perfect for daily use. Automatically knead and extrude 2-3 servings of fresh pasta in just 18 minutes! Add all ingredients through the lid and the pasta maker does the rest.